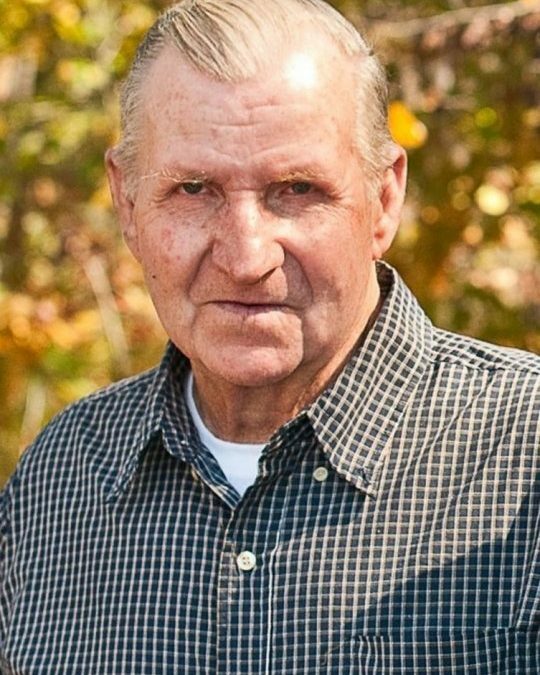 James Burkes Earl Gregory, 78, of Somerset, Kentucky, passed from this life on Thursday, January 25, 2018 at Somerwoods Nursing and Rehabilitation Center. He was born on August 5, 1939 in Stanford, Kentucky, son of the late Jerry “Burkes” and Elizabeth Gregory. He was a self-employed mechanic and welder and of the Baptist faith. James enjoyed going fishing, watching westerns, listening to old country music and tinkering with things. He was also a fan of Nascar and will be missed by all who knew and loved him. He is survived by his wife; Patricia Meece Gregory, four sons; Jeff (Jill) Gregory of Faubush, Johnny (Nancy) Gregory of Nancy, Jamie (Vickie) Gregory of Somerset, and Jeremy (Sarah) Gregory of Richmond, one daughter; Jennifer (Dennis) Mayfield of Somerset, two brothers; Donald (Nancy) Gregory, Somerset and Chester (Joan) Gregory, of Somerset, four sisters; Betty Ridner of Somerset, Brenda (Frank) Bray of Somerset, Jeanie Collett of Rockwell, Texas and Deanie (Danny) Roaden of Somerset, ten grandchildren; Michael Gregory, Taylor Gregory, Bryant Gregory, Jody Gregory, Dylan Stout, Nikki Vaught, Kirsty Gregory, Haley Ball, Jessica Patterson and Justin Sizemore, two great-grandchildren: Chloe Gregory, Ann Thomas Lynn Sizemore, and a daughter-in-law; Debbie Gregory of Somerset. He was preceded in death by his parents, son; Jackie Gregory, sister; Margaret Johnson, and two brothers; Orville Gregory and Benny Gregory. Visitation will be at 10:00 am on Monday, January 29, 2018 in the Chapel of Southern Oaks Funeral Home with funeral services to be held at 12:00 pm on Monday at the funeral home. Southern Oaks Funeral Home is entrusted with the arrangements for James Burkes Earl Gregory.